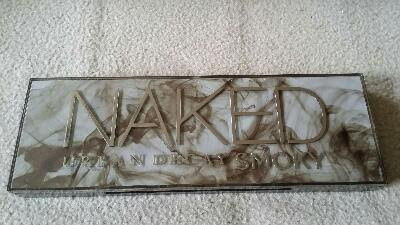 Here are Urban Decays latest Naked palette this time named Smoky and not to be confused with UD Smokey palette. 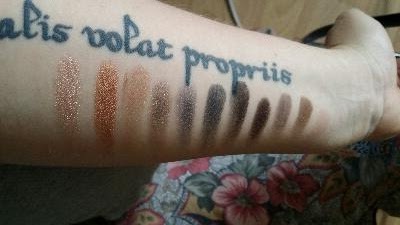 This palette has 4 matte shadows, 4 shimmery and 4 more sparkly shadows. There is a wide range of brown and gray and one very pretty dark plum. All shadows has UD quality and are easy to blend and extremely pigmented. I picked up mine at the Swedish beautystore Kicks for $59. 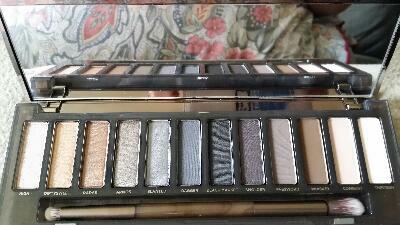 I put in a pic of my other UD Naked palettes that I have so from top to bottom. 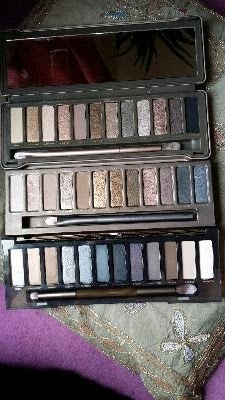 Naked 2, Naked and Naked Smoky just so you can compare those three. Enjoy your read and have a nice Sunday!